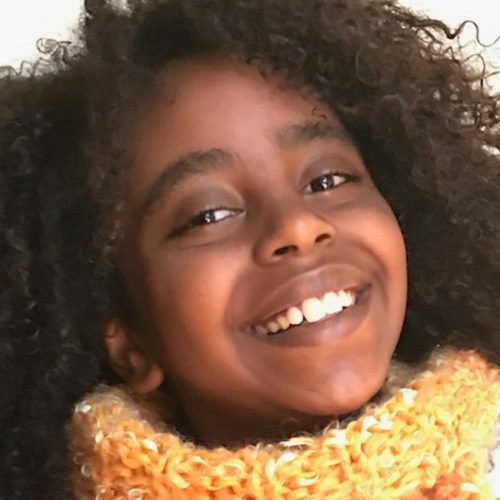 Naomi Wadler is an 11 year old student activist who gained national attention for her speech at the March for Our Lives in Washington, DC on March 24, 2018. She enjoys spending time with friends and family, playing with her little sister and singing, loudly. Prior to the March, Naomi led a student walk out at her elementary school in Alexandria, Virginia on the one month anniversary of the senseless shooting at Marjory Stoneman High School in Parkland, Florida. Her school walk out was 18 minutes long, 17 minutes for each student and teacher who lost their lives in Parkland, and one additional minute for Courtlin Arrrington, an African American student who was murdered shortly after the Parkland shooting in her Alabama high school. Naomi’s mission is to change the narrative around African American girls and “to acknowledge and represent the African American girls whose stories don’t make the front page of every national newspaper, whose stories don’t lead on the evening news.” Naomi believes every person is valuable. She hopes more people will join her effort to remember Courtlin and the many African American girls lost to gun violence around the country whose potential will never be realized.